The story of Scotch tape is one of incredible determination and risk-taking — and its invention was thanks to a banjo-playing, college-dropout, “misfit” engineer who believed in his ability to invent, He was not only that but an entrepreneur who lived and saw his dream become a reality. Though today’s consumers recognize 3M as a manufacturer of sandpaper, tape, and other adhesives, the company initially attempted to break into a completely different market. In 1902, five Minnesota businessmen pooled their resources to start a mining venture, Minnesota Mining & Manufacturing Co (3M). With the goal of extracting and selling corundum, an abrasive mineral, the men purchased a mine. But when the mine failed to turn up anything of value, the project faltered and changed hands. 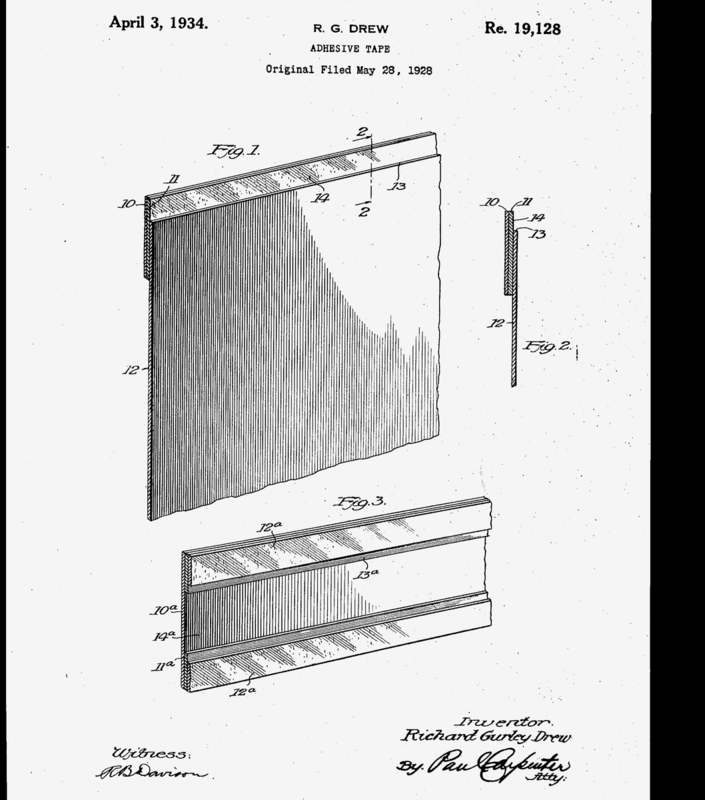 Its new owners set out on a mission to invent a superior sandpaper. Without corundum, 3M turned to importing a different mineral, garnet, from Spain. Though garnet proved gritty enough to make sandpaper with, it was far from ideal. Hundreds of letters poured in from customers complaining that the ground up minerals weren’t adhering to the sandpaper. After a decade of research, development, and hard work, 3M still found itself struggling to turn a profit. Then, in the early 1920s, the company’s management decided to diversify its product line. It was a strategy that paid off big — especially when they hired an engineer named Richard Drew. In 1921, 3M hired three men to oversee product innovation — a move that the company itself cites as “one of the most harmonic convergences in the annals of business.” Among the men was one Richard Drew. The 22-year-old was hired, and thrown into the lower dregs of 3M: for two years, he was tasked with testing out various grains of sandpaper. 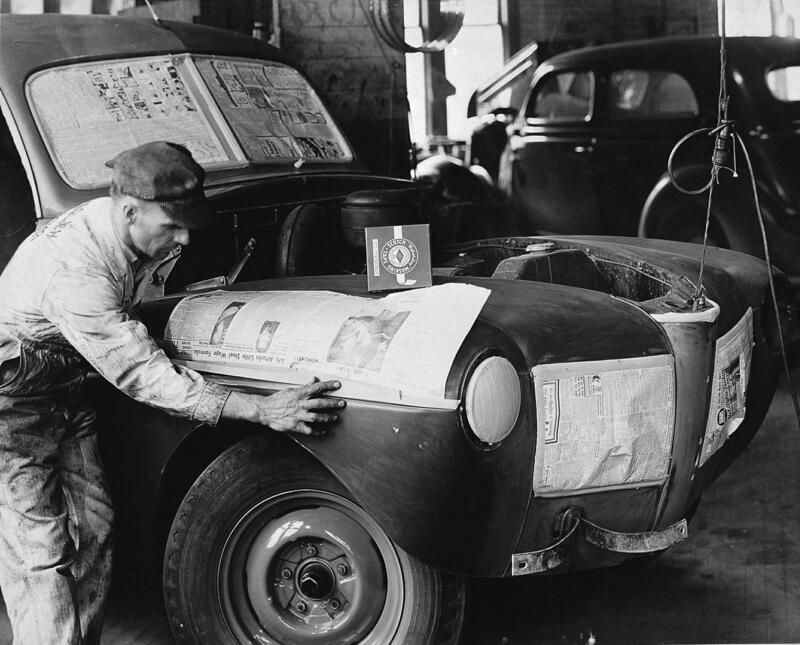 Eventually, the company sent Drew out to local auto shops, who were 3M’s most frequent customers at the time, to disseminate the sandpapers for testing. When Drew walked into the shop that day, he was greeted with the “choicest profanity” he’d ever heard: strong adhesive tape had, once again, botched the auto workers’ paint job. Instead of seizing the opportunity to sell the disgruntled workers sandpaper to remove paint, Drew had a completely unrelated revelation: what if he could design a superior, less aggressive tape — a tape that didn’t ruin paint jobs? Drew had no clue how to make tape. But he realized that as a sandpaper manufacturer, 3M had access to many of the necessary components: after all, creating sandpaper required a sticky surface to which the minerals would be applied. So, in his time between selling sandpaper, the brash engineer set out to invent his new tape. A series of experiments ensued with various ingredients — vegetable oils, chicle, linseed, glycerin, all types of resins — but nothing really worked. What’s more, as Drew fell behind on his other work, his superiors ordered him to drop his efforts and return to his primary duties. Drew refused to give up, and pursued the tape invention in his own time. Two years later, he found a formula that worked: a mix of cabinet maker’s glue and glycerin applied to a thin, treated crepe paper produced a tape that convincingly stuck to its surface but still peeled off easily and didn’t damage paint. Drew’s resulting product — “Scotch Brand Masking Tape” — was an instant success, and immediately changed the way paint jobs of all sorts were completed. But Drew wasn’t done. The success of masking tape earned Drew a promotion: by the late 1920s, he was heading 3M’s fabrication laboratory — a position that allowed him great flexibility in innovating new products. Drew took great joy in “finding something valuable in something not even sought out”; much like masking tape, his invention of Scotch tape was serendipitous. Competing company DuPont had just invented cellophane — a “moisture-proof packaging material” used by bakers, grocers, and meatpackers to wrap their products in. Since cellophane was transparent, these sellers sought an attractive way to seal the wrapping. So, Drew designed his own machinery that treated the delicate tape more sensitively. After various pursuits, a clear tape was created from “oils, resins, and rubber” — and it was completely see-through.